You are going to LOVE this bathroom renovation. Do yourself a favor and click here to see how this boring bath got a super-duper chic facelift. Designer Stephanie Sabbe really worked some magic in this space - a bathroom with a "spa-like" feel that is definitely unique. The herringbone floor is enough to make you swoon. Have a fantastic weekend - see you next week! 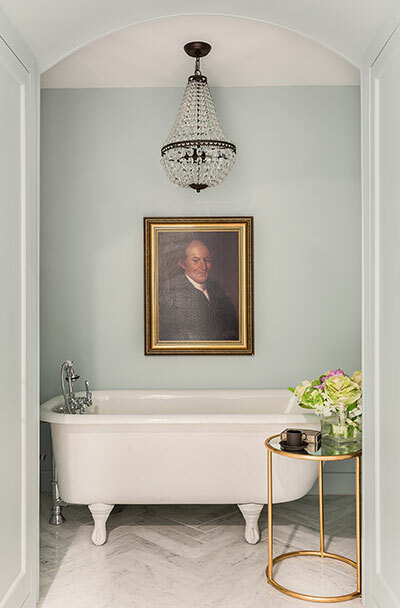 Love seeing art and chandeliers in a gorgeous bath!